The Cognitive Neuroscience research line groups several research programmes at ITAB whose general aim is describing the functional architecture of the human brain, and the neural bases of cognitive processes important for everyday life activities. Long-lasting areas of interest regard the somatosensory system (e.g., Ferretti et al., 2007, Hum Brain Mapping), spatial representation (e,g., Committeri et al., 2007, Brain; Galati et al., 2010, Exp Brain Res) and attention (e.g., Brunetti et al., 2008, Cereb Cortex; Sestieri et al., 2008, J Neurophysiol; Capotosto et al., 2009, J Neurosci), and action/body representation within the embodied simulation framework (e.g., Costantini et al., 2008, Exp Brain Res; Ebisch et al., 2008, J Cogn Neurosci). Moreover we are interested in the sensory-motor mechanisms underlying high-level processes such as visual and value-based decisions (Tosoni et al., 2008, Nat Neurosci). A recent area of interest is the study of the brain's intrinsic functional architecture and its relationships to functional networks recruited during tasks. The intrinsic functional architecture is studied by examining the inter-regional temporal correlation of the blood-oxygen level-dependent (BOLD) signal recorded at rest by functional MRI (functional connectivity-by-MRI, fcMRI). 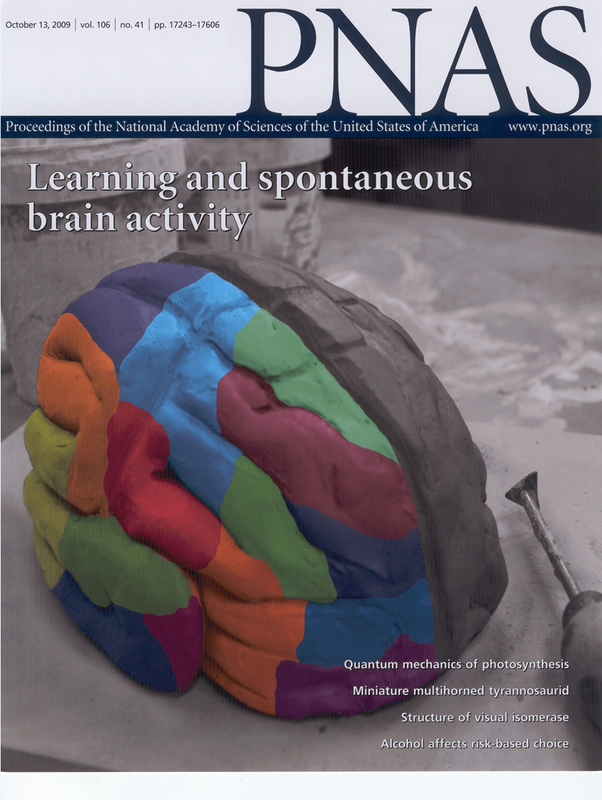 In recent work we have described the association between fMRI spontaneous fluctuations and EEG activity simultaneously recorded (Mantini et al., 2007, PNAS); changes in fcMRI associated with perceptual learning & predisposition ( Lewis et al., 2009, PNAS).